To eliminate inaccuracies, additions of non-existent figures in various documents (contracts, forms, letters, powers of attorney, etc. ), which lists the funds necessary to prescribe the amount in full. What are the General rules of writing? In the primary documents first written amount numerals indentifying R. and nickels, dollars and cents, euros and cents, etc. Example: 1278 R. 13 kopecks, 1287,46 $ 1256,43 euros. Next, open parenthesis, the recording starts with a capital letter. Fully prescribed R., dollars, euros. In the numerical value remains the penny, the cents and Euro cents. The record closes with a parenthesis. For example: 1256 R. 43 kopecks (One thousand two hundred seventy-eight R. 13 cents), 1287,46 USD (One thousand two hundred eighty-seven dollars 46 cents US), 1256,43 euros (One thousand two hundred fifty-six Euro 43 Euro cents). Notice the part with the expression in p., us dollars, Euro is written in the nominative case. It is possible to use a method in which the digital value of cents, cents and cents is written only once outside the brackets. Example: 2178 (Two thousand one hundred seventy-eight) R. 43 COP. you can use both full name and abbreviation "R." and "cents", but uniform. Not exclude such a variant writing of the amount specified, cents, cents, cents to a digital value using a fraction bar with the number 100. For example: "Your debt under contract No. 10035 is 11239,61 (eleven thousand two hundred thirty-nine 61/100) euros. The use of the genitive in the breakdown of the amount necessary when specifying limits of the amount. For example: "not less than 5 million (Five million) p." "not more than 4000 (Four thousand) euros. When the document is required to verify that the currency is after the parentheses, because it may be contradiction. For example: "17669,58 (seventeen thousand six hundred sixty-R. fifty-eight cents)" In the transcript we are talking about R., but in document it can be dollars or euros. It is therefore right that the entry is necessary to write so: "17669,58 R. (seventeen thousand six hundred sixty-R. fifty-eight cents)"
Today are constantly faced with the need to write numbers, letters or words. Especially often such a need arises, when required, for example, in the invoice or payment statement to give sums of money, with numbers, verbal form. In order to do this, you should remember the following important points. Any grammar reference in the Russian language, for example: Kamynin A. A. Modern Russian language. The morphology (link to the Internet, see below). Always start to write words a monetary amount or a number of any items in the official document with a capital letter. This is a very fundamental thing, because a document with an error in the design may not accept, for example, in the Bank. Remember that numbers (i.e., verbal equivalents of numbers), indicating 300 and 400 end in a hundred. Remember that numbers that are multiples one hundred (500 to 900) are always in front part of a hundred compound words the soft sign (-ü-): the fifth-b-SOT, the pole b-SOT, etc. If you want to decline, i.e. to change the case, then you should know that numbers that are multiples of a hundred, 500 to 900, are inclined, as the word "five hundred" (what? – five hundred; what? – five hundred; (of whom?) what? – five hundred; what? – five hundred; what? – about five hundred). If you need to transfer a large number of different numbers in verbal form, then use some program like "Amount in words - an Outpost of 4.32". But this, of course, is only possible if you have a computer at hand. 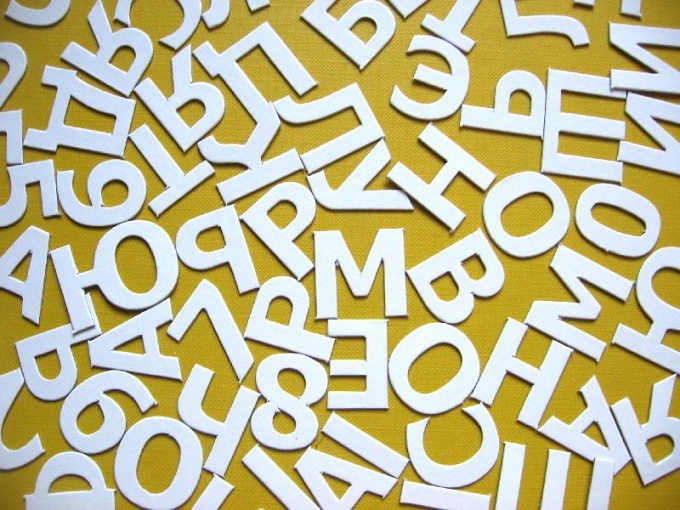 Makes sense when there are difficulties arising in the process of writing numbers in words practice, for example, according to the textbook Ushakova O. D. "Morphological parsing of the word" (link in the Internet http://www.alleng.ru/d/rusl/rusl82.htm).